An old friend of mind recently returned from Africa. He is a commercial pilot and has spent many years in foreign countries and Alaska. His usual tours for the last twenty years is to fly in Alaska in the summer and in Africa the balance of the year. this guy embellishes nothing. He says Ebola is bad stuff. The suffering is immeasurable. Coming from him, we need to put those people arriving with Ebola in the capital in Washington. Who said,”we can’t let a crisis go to waste?” We might lose both statesmen in Washington but we could cleanse the system for a while. Might be a good idea to note their locations…especially you Atlanta folks. I just hope it doesn’t break down too soon. What a trip this pm market has been. Should have just hung on to the buys I had in 2001 and let them fall where they may…. a dumb investor at that time”so called” at least…. Thanks I appreciate that and agree. I dont pretend to know what will happen next , who can? But that was put out there at that time in 2005 and 2800/78 silver gold was also next in line off those fib projections fwiw/still standing…. Hate to think that is a monthly bear flag developing but time has a way of making everyone right or wrong at any given time. I have plenty of nut case days myself. Just try to keep it to myself. Sector funda’s got a boost this week. There could be another plunk, but if those are bottoming patterns on the weeklies, then we are due to be coming out the right side soon enough. Look at the symmetry and notice that the patterns are running out of room until they get to the equiv. of the massive 2012-2013 downside. Except that if it holds symmetry, it’s gonna go in the other direction this time. We’ll see. BTW, I put the link back. Okay, gotta go do some writing. It’ll be a fun one this w/e. however if you get miffed at poitics then your going to get a ‘religious’ experiance at the oasis…not only do we seriously talk gold and silver and do charts and post our expectations but we also discuss politics from primarily a libertarian view…ergo your religious experiance. also biiwii for the most part we simply enjoy each others company as the markets do thier thing. if you can tolerate some politics mingling with gold and silver investors and traders then its great…if not i’m sorry but its your loss. i hope you can enjoy the oasis and find value in it posters points of view and also in thier humor. can’t leave that out. Well, no apology necessary. I have been linking your blog here for a while simply because I see it grounded on the facts and fundamentals regardless of where anyone thinks it should or should not be. Reading your site helps me keep things in perspective, a tough one to do when your right brain is contesting the left. Of all the blogs I have read for many years, yours is likely the only one I would consider paying for. This is a good forum filled with some great contributors and the odd nutcase one of which I might be on a bad day. Thanks for dropping by. 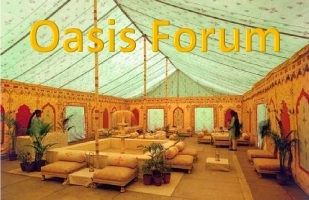 I somewhat followed what was going on with the old Goldtent and the players over there that did whatever they did, and got the drift that this Oasis was the real deal Tent people trying to start anew after getting something of a raw deal? That’s the drift I got anyway. So I wanted to help get some exposure for Oasis since the other outfit looked played out. But the very next post was something very political and inflammatory and due to my curmudgeon like nature and view that politics and religion should not enter into the gold market as anything other than a distraction, I nixed it. I noticed that a post of mine was linked here today, and that is how I first found the old and now the new Tent. I am not a very popular gold bug, since half of them (that even know who I am) dislike me, and the feeling is mutual toward that half. But I thought the idea of a forum where people seem to get along and share good ideas and news was a good one. So much so that I joined. Summation Index measures the BREADTH of the Decline in this chart of the DOW it shows a widening bredth of participants in the decline. I think that was before there was an oasis actually. Could be he saw what was going on and didnt want to be associated with it. jmo, I dont know. This is the post that got me thinking he was referring to someone here .. good possibility that I’m wrong, of course. If you saw it you saw me trying to do a good turn for some people on a forum. But then if you caught the edit (before I deleted the post), you saw my frustration at a post that showed up there right after. So I just nixed it. The forum of which I speak is still linked over on the right (for now). Not long after that was posted, I noticed that the oasis had been removed from the side bar. Perhaps a coincidence. I’ll see if I can find Rabbit’s comments. As I recall, he didn’t name names, but the inference was that he felt slighted by someone here. I’ll be back if I find something.